Carrie found a Slow Cooker Marinara Sauce recipe on Budgetbytes.com. It’s an appealing recipe because it uses mostly pantry items and it’s easy to put together. 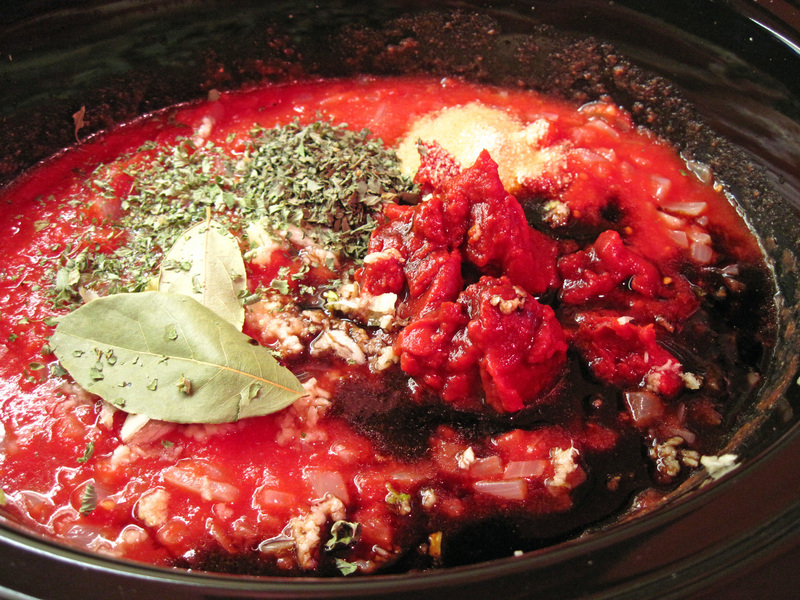 Beth, from Budget Bytes, just puts everything into the slow cooker and cooks it on low for 8 hours. 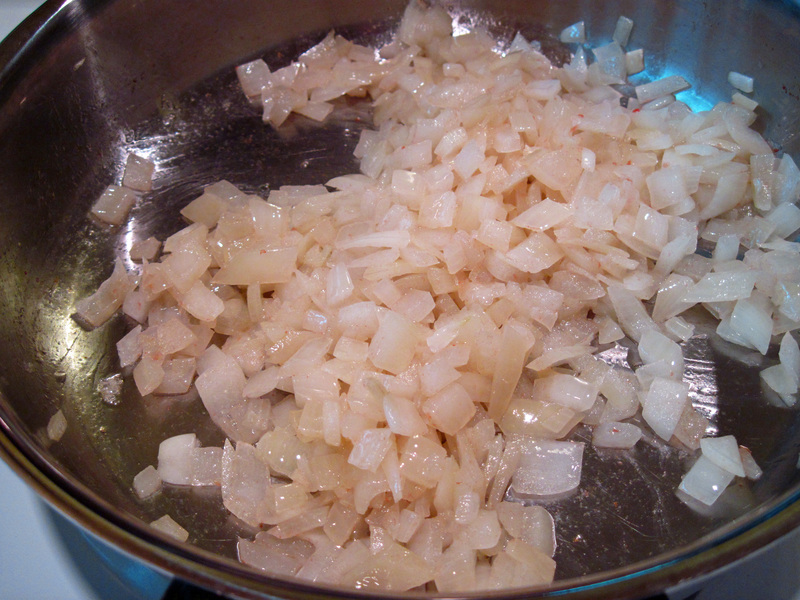 Carrie used Beth’s method and reported that the onions were a “just a little bit crunchy”. She thought it was fine, but I opted to sauté the onions over medium-low heat in a bit of olive oil until they were soft before adding them to the slow cooker. I think sautéing them enhances their sweetness and adding a bit of olive oil to the marinara certainly can’t hurt. Besides sautéing the onions, I increased the garlic and added a bit of red pepper flakes. The garlic and red pepper did not overwhelm the sauce. I think they just added a little more depth of flavor. Using a tip from the America’s Test Kitchen, I used soy sauce (actually gluten free tamari) instead of salt to season the sauce. They claim it helps to add a “meaty” flavor to the sauce. I didn’t use as much as they did because I did not want the sauce to be too salty. I can always add salt if it seems that it’s needed when I use it in recipes. The Slow Cooker Marinara Sauce recipe yielded about 7 cups of sauce. I used some the first night, refrigerated the rest of the sauce, and then put it in pint canning jars to freeze the rest. Each jar holds about 1½ cups (or 13.3 oz). I learned from an online search that you should not use large jars with “shoulders” for freezing because they will crack. Wide mouth pint size jars are best. Chiot’s Run has a good post about freezing in glass jars. 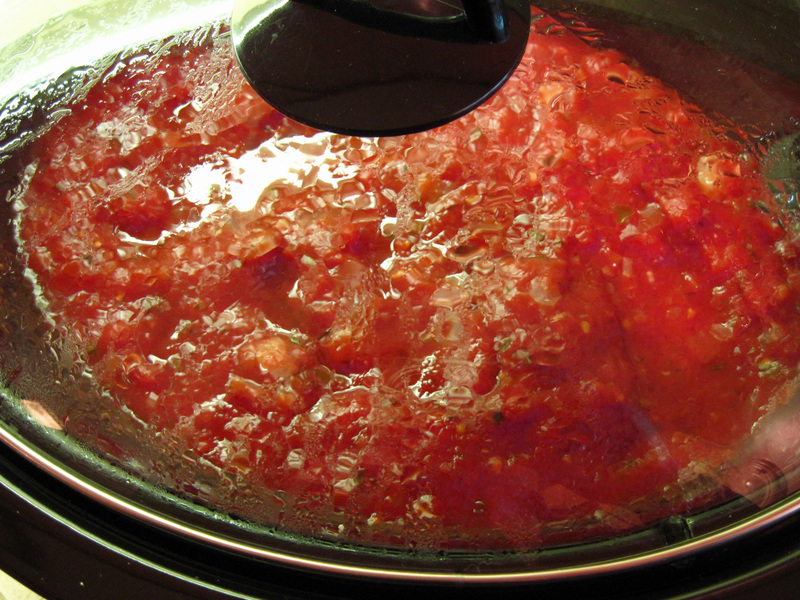 I do think Slow Cooker Marinara Sauce is a worthwhile slow cooker recipe. Even with the extra step of sautéing the onions, it goes together quickly and makes a marinara that is much better than the ones you can buy. It is thick and has a rich tomato flavor. I’m going to love pulling it from my freezer for quick meals! 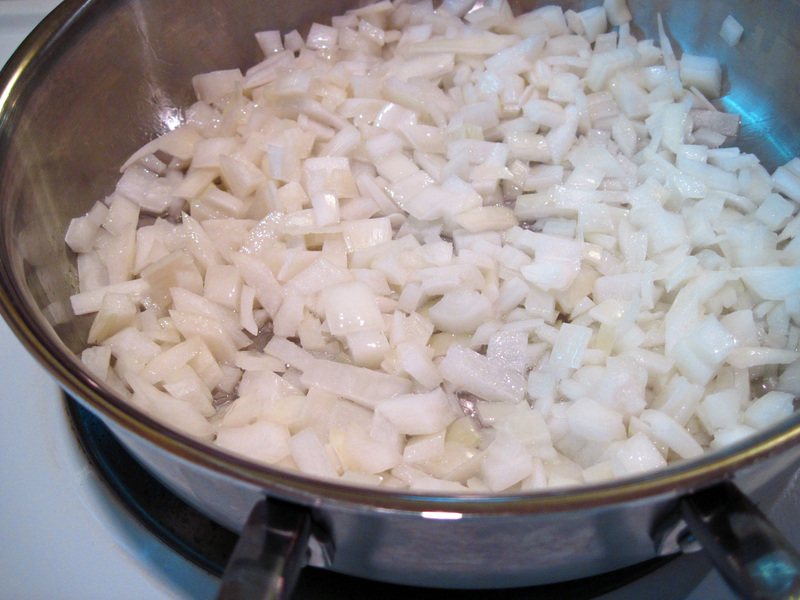 You can certainly omit the extra step of sautéing the onion, if you prefer. Simply put all of the ingredients except the salt or soy sauce in your slow cooker and cook on low for 8 hours. Then taste and add salt or soy sauce to taste. 1. Heat the oil over low heat in a skillet. Add the onion. Cook, stirring occasionally, until the onion has softened but has not yet started to brown. This will take about 10 minutes. 2. Put the onion with the oil into the slow cooker. Add all of the other ingredients except the tamari sauce. 3. Stir all of the ingredients together; cover and cook on low for 8 hours. 4. Stir, remove the bay leaves and taste for seasoning. Add the tamari sauce (or Kosher salt) if desired. After using some of the sauce on the first night, I refrigerated the leftover sauce. The next day I put it in wide-mouth pint size jars to freeze it. The jars I used have lines that shows how much to fill them for freezing. Below, you can see where I marked the line with black so it would be more visible in the photo. Each pint jar holds about 1 1/2 cups, about 13.3 ounces. I put the 3/4 cup of sauce that was leftover in a Ziploc bag. YUM! 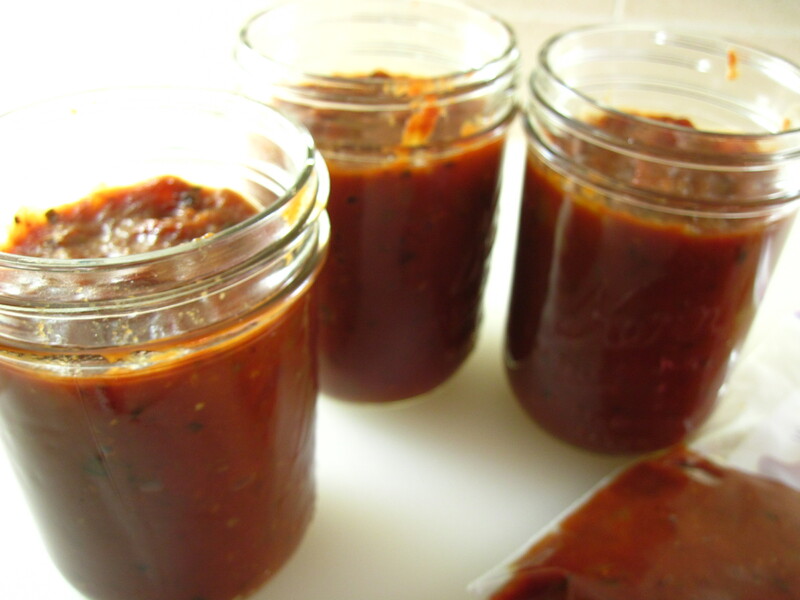 I love making my own sauces! 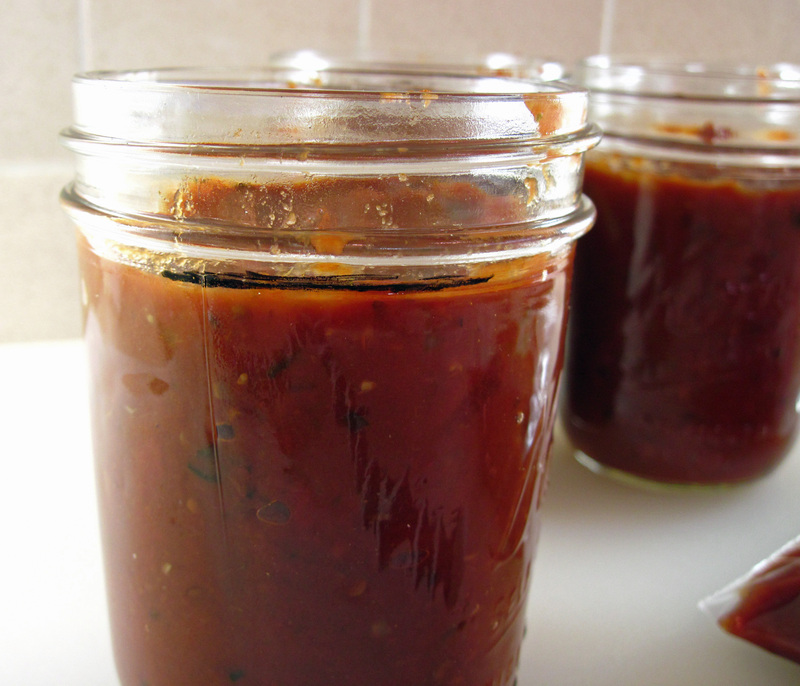 I like marinara sauce and look forward to trying this soon! Thank you! I think you’ll like it. 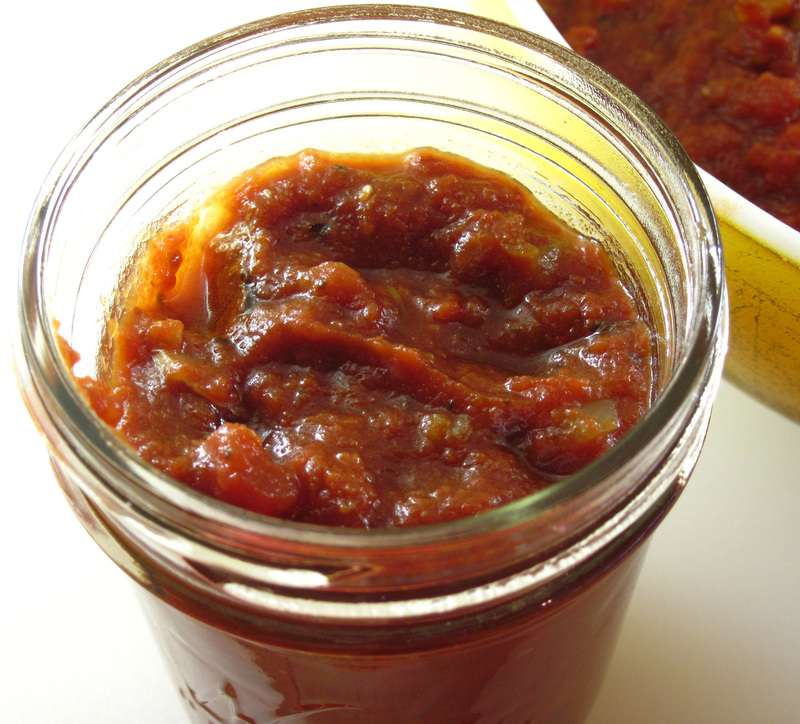 The Tale of Three San Marzano Sauces – Part I | Season It Already!